Anthracite enamel with Teflon, chromium plated 6-mm grid, aluminium coated tray and sturdy base, together create a perfect barbecue for preparing alfresco meals. Clean, contemporary look make the box BBQs sure to fit in nearly any type of garden. Available in many different versions – also with wooden side tables and a lid. 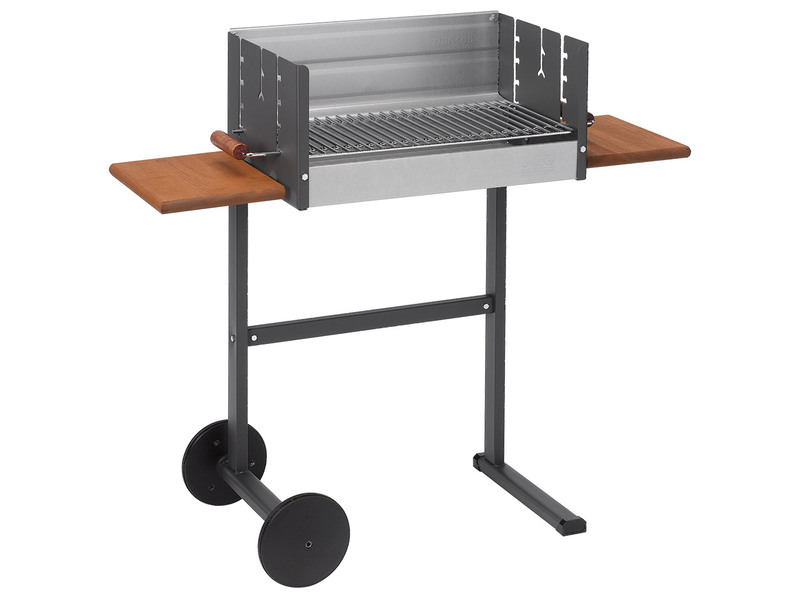 Vertical barbecuing possible when using additional accessories.